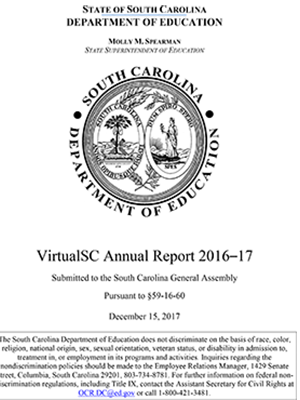 Each year VirtualSC is mandated by legislation to publish an annual report to update the General Assembly. The two most recent reports may be downloaded from here. 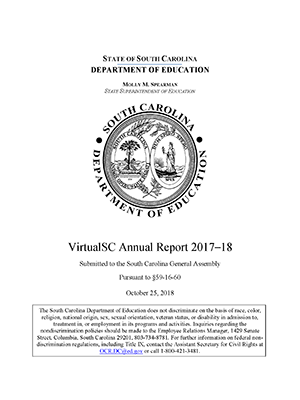 Should you need an annual report from further back please contact virtualsc@ed.sc.gov. This is the annual report for the virtual school program for the 2017-2018 school year. This is the annual report for the virtual school program for the 2016-2017 school year.